Weddings are a memorable part of life and when you see how happy the bride and groom with each other, then you would definitely like to make their happiness last forever by gifting them personalised gift items which would be treasured by them forever. Printcious brings you a whole new range of spectacular wedding gifts, like customised ceramic tiles, romantic couple mugs, which are ideal for the newlywed couple and would be a special part of their future. 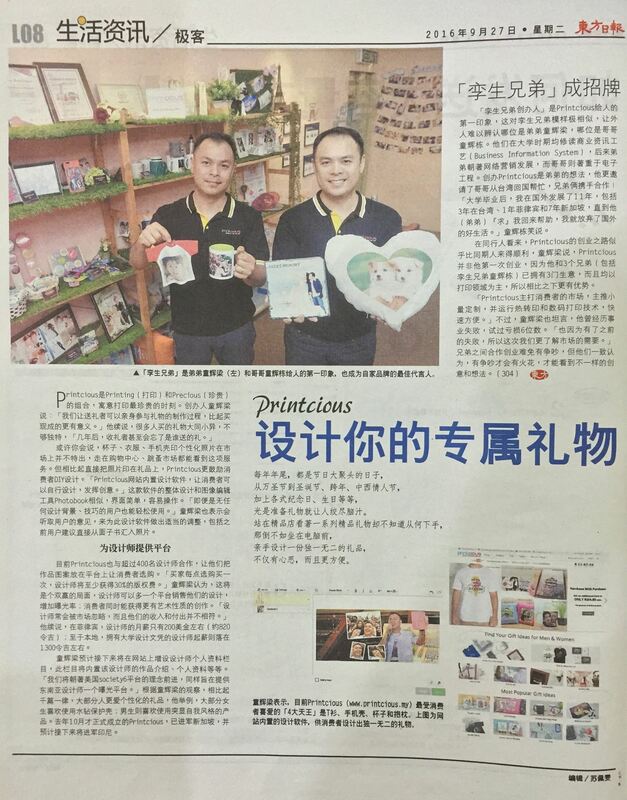 They say, “Marriages are made in heaven” and every couple deserves all the happiness in the world - so, why not gift them with your heartiest wishes and remarkable personalised wedding gift in Malaysia from Printcious. Their happiness would know no bounds when they realise your dedication and genuine love towards them. Why wait? Get them the best wedding gift in Malaysia. Freeze those special moments which you have shared with your beloved bride and let her know how much you care about her and how much you would support her throughout your life with this wonderful custom-made ceramic tile. You can personalise it either with a romantic message or a stunning picture which would surely keep you in her heart. If your best friend is getting married in Malaysia, then you should certainly make their day the most special one! Check out these custom graphic tees, especially for the “cool” couple, which can be easily designed with a quirky wedding message or a heart-warming picture of them. The personalised t-shirts are of high-quality with cosy material which would keep the couple comfortable for long hours. Sisters are always the dearest, and when it's time for your sister's marriage, you surely need to gift them a congratulatory gift, which would be treasured by the newlywed couple forever. Gift them personalised love cushions which can be designed creatively with online design tools of Printcious. These lovely customised cushions will surely add some spark in their new conjugal life and will make your sister proud of her brother. If your groom is a caffeine addict, then these creative custom mugs are perfect for gifting him on your wedding day. Splash some vibrant colours, render your special message or a handsome picture of his on it and add some creativity to make the perfect personalised coffee mug for him. He will simply fall in love with you again for your endearing effort. Don't just wonder, hurry and send this gift to Malaysia and impress him all over again. These personalised gifts are for the artistic couples, who believe in creativity and love everything related to uniqueness. Looking for special wedding gift ideas in Malaysia? Gift them these beautiful personalised canvas print which would display an adorable collection of pictures of their happy moments. This canvas can be easily setup in the living room for the ideal room decoration.­ If you are looking for a one of a kind wedding gift ideas in Malaysia, you can always customise a gift for her or create awesome gifts for him. Getting headache just to find the ideal wedding gift ideas in Malaysia to be given to your guests? With no minimum order of printing, we are a dedicated team specialising in bulk order printing and creating a one of a kind gift for every client and their special recipient. Print your custom gifts with us in Malaysia.